Welcome to Brick House Bar and Grill. 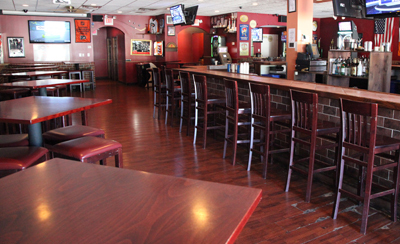 Opened in 2009, Brick House is a casual dining restaurant, offering American cuisine and the best sports entertainment in Northeast Philadelphia. Looking for great food for the big game? We are the perfect location! There is no bad seat at the Brick House. The Brick House has 14 high definition televisions for all of your sports and entertainment needs. Our wide variety of food is sourced from top quality ingredients. We offer lunch and dinner with many selections to choose from our menu. Pick anything from a quick appetizer, a sandwich to a juicy steak or some delicious seafood. The Brick House offers weekly entertainment with Quizzo on Wednesdays, DJ on Fridays and Karaoke on Saturdays. We are dedicated to giving you the best experience in service and entertainment. At the Brick House we value our customers, and we look forward to serving you soon!